For a description of the project and the film, see our Mission Statement. The structure of one day allows you to see all the nuance of what goes on during a typical day in a public school setting. It is the story of public school at the moment things are happening. One day gave us the freedom to follow many subjects including: teachers, students, parents, custodians, counselors, school board members, librarians, security personnel, coaches, volunteers, PTA members and administrative staff. We want to show you what one day looks like so you can see for yourself what it takes to make school happen for everyone everyday. We are parents of children who attend public school in Pasadena. Public school was a deliberate choice because we believe that building relationships, learning and studying with children and teachers from diverse ethnic and economic background prepares students for the future. A future that is global and multi-faceted. This project is important now because there is a crisis of confidence in our public schools. Too much focus has been placed on what is supposedly broken in public education. There is always room for improvement and we feel it is important to reveal all sides – the strengths and weaknesses. But we also believe there is much to celebrate, value and treasure. We believe that GO PUBLIC will raise awareness and understanding about the complex challenges, the effort and dedication of those involved, the innovation that is happening daily and the very urgent need to financially support and champion our local public schools. We spoke with many PUSD families, staff and volunteers to meet our subjects. We looked for people who represent the diverse population of PUSD in every way. See a list of our subjects, and the short web videos for each, here. How did you choose the 50 crews? The GO PUBLIC team each has over 25 years of experience in television and film production and many of their professional colleagues expressed an interest and enthusiasm for being involved with this project. Public education is a subject matter that has universal appeal; the production brought together an impressive group of professionals passionate about helping us capture, “A Day in the Life of an American School District.” In addition, we used 10 student crews from PUSD that we helped train and mentor through the filmmaking process. View a list of the directors here. See the student crews and mentors here. Where and when can I see the film and videos? GO PUBLIC was shot on May 8, 2012. The full-length documentary GO PUBLIC: A Day in the Life of an American School Distrit was completed and had its first public screening exactly one year later, on May 8, 2013. The feature is currently being screened on PBS stations across the country and at select community screenings. Colleges and universities are purchasing the film for use as a teaching resource. The DVD is becoming available at select public libraries and can be purchased for home viewing through our on-line store. The “50 FILMS” web videos can be viewed here. The “GO PUBLIC Voices” web videos can be viewed here. How are the short films be used in the documentary? The feature-length documentary is entirely different from the short films. Rather than individuals, the main subject will be the school district. We watch as a “day in the life” of a school district unfolds and discover what makes it tick. Is this project a video or a website? The GO PUBLIC project encompasses both a 90-minute hour video culled from the 50 subjects documented on one day and an interactive website that hosts 50 three to four minute videos profiles of each subject and 65 GO PUBLIC Voices. Please join our mailing list to get the most recent updates. Sign up here. Did you film in all the PUSD schools? Yes. 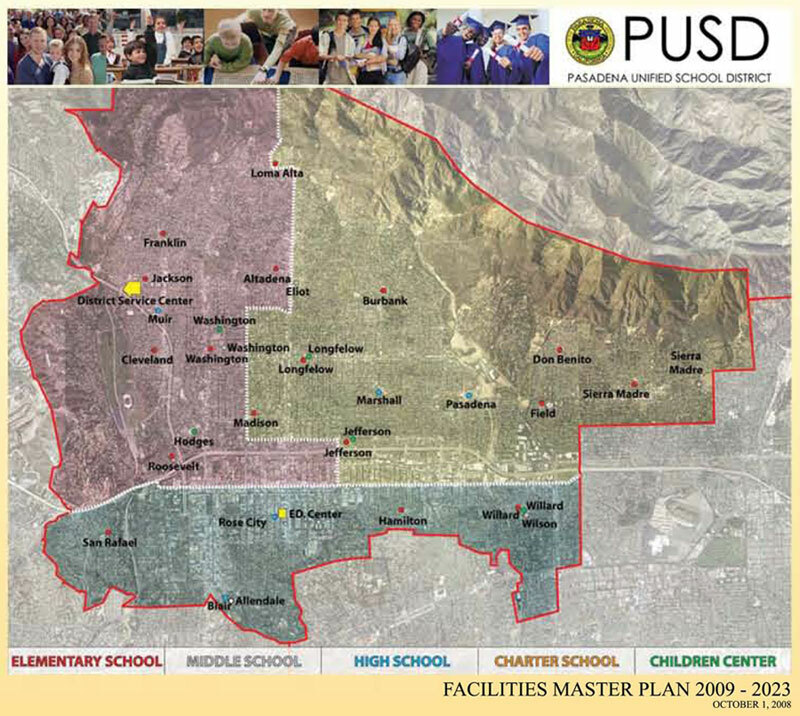 We had a Film Access Agreement with the Superintendent of the Pasadena Unified School District approved by the School Board which allowed us full access to film on all 28 campuses (map) and the district offices. How are you funding “GO PUBLIC: A Day in the Life of an American School District”? We are continuing to fund this project with the help of people like you! Individuals who share our belief that this is a story worth telling. Public school affects everyone in this nation and individuals are joining us in raising the funds necessary to give voice to what it really takes, all the working pieces behind the scenes, to make public school happen each and every day. We want to capture the complexity of educating an extremely diverse population – the triumphs and the trials. We will continue to apply for grants, connect with like minded organizational partners and share our passion with anyone and everyone who will listen. If you would like to join our support team please click here. If you’d like to contribute and support the GO PUBLIC Project, please click here.